Heroin Epidemic Is Driving A Spike In Hepatitis C Cases, CDC Says : The Two-Way From 2010 to 2015, the number of new infections leaped nearly 300 percent, according to the Centers for Disease Control and Prevention. And researchers appear confident of the cause. Used syringes rest in a pile at a needle exchange clinic in St. Johnsbury, Vt. The CDC says needle exchanges like this one, where users can obtain clean needles, help reduce the rates of death and transmission among those suffering from hepatitis C.
And despite the existence of therapies that can cure more than 90 percent of infections, the organization says the disease remains a deadly threat. In 2013, for instance, the CDC says some 19,000 people died of their infections. "Hepatitis C is associated with more deaths in the United States than 60 other infectious diseases reported to CDC combined," the researchers write. States that have struggled most with the unfolding opioid crisis also tended to have worst rates of new Hepatitis C infections. All of the seven states that have rates of infection at least twice the national average — Indiana, Kentucky, Maine, Massachusetts, New Mexico, Tennessee and West Virginia — have seen a statistically significant increase in drug overdose deaths in recent years, as well. The CDC evinces little doubt that statistics like these are intimately related. "Injection drug use is the primary risk factor for new HCV infections," the researchers write, referring to the disease by its initials and recommending that lawmakers "create and strengthen public health laws" to fight the disease. 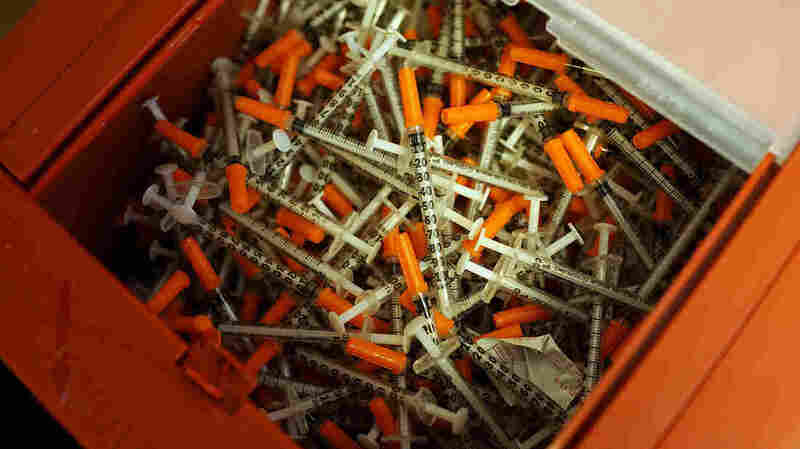 In particular, the CDC says some of the best ways to combat its spread are ways to boost access to clean needles — such as syringe exchange programs and decriminalization of the possession of paraphernalia. "State laws that increase access to syringe exchange programs and clean needles and syringes, and policies that facilitate access to HCV treatment through state Medicaid programs can reduce HCV transmission risk," the CDC says. Of all 50 states, the CDC found that only Massachusetts, New Mexico and Washington had both a "comprehensive set of laws and a permissive Medicaid treatment policy that might affect access to both HCV preventive and treatment services for persons who inject drugs."